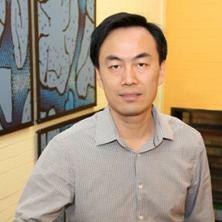 Liguang Wang obtained his PhD from Virginia Tech. He joined UQ as a lecturer in 2006. Liguang’s research focuses on froth flotation, dewatering, mineral beneficiation and coal cleaning. Liguang has been awarded 10 national competitive grants as Lead Chief Investigator (Principal Investigator). He has been publishing refereed articles in high-impact journals in the fields, such as Minerals Engineering and Chemical Engineering Journal. Particle separation, flotation, dewatering, gas hydrates, interfacial phenomena. The objective of this project is to develop a novel and effective beneficiation process to upgrade an iron ore, increase utilisation of existing iron resources, and reduce costs and adverse impacts in processing of the ores. Separation of ultrafine coal particles from clay and water during a cleaning operation has been a long-term problem that the industry has faced. This project will develop advanced solid-solid and solid-liquid separation technologies, aiming to achieve high combustible recovery and low product moisture at low cost. Natural gas hydrate (ice that burns) occurs abundantly in nature and is a potential source of clean energy. Formation of gas hydrates can be utilised as an alternative technology for gas separation, gas storage and transportation, and water desalination. Inhibition of gas hydrates is a challenging task in oil and gas industry. This project employs state-of-the-art tools to investigate gas hydrate formation and develop advanced methods to utilise and manage gas hydrates. Yoon, R. H. and Wang, L. (2007). Hydrophobic Forces in Foam Films. In Tharwat F. Tadros (Ed. ), Colloid Stability: The Role of Surface Forces (pp. 161-186) Weinheim: Wiley-VCH Verlag. Mao, L, Wang, L and Yoon, RH (2006) Hydrophobicity of oil droplets in water. Minerals & Metallurgical Processing, 23 1: 45-51. Su, Yuan, Bernardi, Stefano, Searles, Debra J. and Wang, Liguang (2016). Phase Equilibria and Gas Storage Capacity of Clathrate Hydrates of Methane + Quaternary Ammonium Salts. In: Chemeca 2016: Chemical Engineering - Regeneration, Recovery and Reinvention. Chemeca Conference, Adelaide, Australia, (3407381.1-3407381.8). 25-28 September 2016. Wang, Liguang (2016). Prediction of the critical rupture thickness of foam films formed from saline water in the presence of flotation frothers. In: Proceedings: IMPC 2016. XXVIII International Mineral Processing Congress, Québec City, Canada, (89-90). 11-15 September 2016. Park, Hangil and Wang, Liguang (2015). A Study of Fine Coal Flotation Using a Cyclic Alcohol Frother. In: Asia Pacific Confederation of Chemical Engineering Congress 2015: APCChE 2015, incorporating CHEMECA 2015. Asia Pacific Confederation of Chemical Engineering Congress 2015: APCChE 2015, incorporating CHEMECA 2015, Melbourne, Australia, (1825-1833). 27 September - 1 October 2015. Li, Huijuan and Wang, Liguang (2014). Comparative study of clathrate hydrate formation in the presence of octadecyltrichlorosilane-coated glass particles and sodium dodecyl sulphate. In: Chemeca 14: Processing Excellence; Powering Our Future. Chemeca 14: Australasian Conference on Chemical Engineering 2014, Perth, WA, Australia, (1-10). 28 September-1 October, 2014. Park, Hangil and Wang, Liguang (2014). Experimental studies and modelling of surface bubble behaviour in flotation froth. In: Chemeca 14: Processing Excellence; Powering Our Future. Chemeca 14: Australasian Conference on Chemical Engineering 2014, Perth, WA, Australia, (1-12). 28 September-1 October, 2014. Li, Huijuan, Du, Jianwei and Wang, Liguang (2013). Effect of surfactant-coated particles on clathrate hydrate formation. In: Chemeca 2013: Challenging Tomorrow. Chemeca 2013: Australasian Conference on Chemical Engineering, Brisbane, QLD, Australia, (1-5). 29 September-2 October, 2013. Garg, Sourabh, Wang, Liguang and Schenk, Peer (2013). Effects of algal hydrophobicity and bubble size on flotation separation of microalgae from aqueous medium. In: Chemeca 2013: Challenging Tomorrow. Chemeca 2013: Australasian Conference on Chemical Engineering, Brisbane, QLD, Australia, (1-5). 29 September-2 October, 2013. Du, Jianwei, Li, Huijuan and Wang, Liguang (2013). Formation kinetics of methane hydrate in the presence of ionic surfactants. In: Chemeca 2013: Challenging Tomorrow. Chemeca 2013: Australasian Conference on Chemical Engineering, Brisbane, QLD, Australia, (1-5). 29 September-2 October, 2013. Yoon, R. H., Asmatulu, R., Keles, S., Luttrell, G., Wang, L., Schultz, W. and Franklin, J. (2012). Dewatering mineral and coal fines using the hyperbaric centrifuge. In: Pradip (Conference President), XXVI International Mineral Processing Congress - IMPC 2012: Conference Proceedings. XXVI International Mineral Processing Congress - IMPC 2012, New Delhi, India, (05959-05968). 24-28 September 2012. Wang, Liguang (2012). Inter-bubble attractions in aqueous solutions of flotation frothers. In: Courtney A. Young and Gerald H. Luttrell, SeparationTechnologies for Minerals, Coal, and Earth Resources. SME Annual Meeting and Exhibit and CMA 113th National Western Mining Conference 2011, Denver, CO, United States, (35-45). 27 February - 2 March 2011. Wang, Liguang, Qu, Xuan and Nguyen, Anh V. (2010). Correlation of air recovery with thin film and froth stability in flotation. In: XXV International Mineral Processing Congress - IMPC 2010 'Smarter processing for the future. International Mineral Processing Congress 2010, Brisbane, Qld, Australia, (2495-2501). 6 -10 September 2010. Qu, Xuan, Wang, Liguang and Nguyen, Anh V. (2010). Surface forces in thin foam films stabilised by non-ionic surfactants. In: Chemeca: Australasian Conference on Chemical Engeering (2010). 40th Australasian Chemical Engineering Conference, Adelaide, SA, Australia, (1-12). 26 - 29 September 2010. Wang, Liguang and Yoon, R.H. (2008). Effect of elasticity and surface forces on the stability of foams and lamellae films in the presence of flotation frothers. In: Zuo, W.D., Yao, S.C., Liang, W.F., Cheng, Z.L. and Long, H., Proceedings of XXIV International Mineral Processing Congress. XXIV International Mineral Processing Congress (XXIV IMPC), Beijing, China, (1000-1007). 24-28 September 2008. Wang, Liguang and Yoon, Roe-Hoan (2006). Effects of surface forces and film elasticity on foam stability. In: Z. Xu and Q. Liu, Interfacial phenomena in fine particle technology : Proceedings of the sixth UBC-McGill-UA International Symposium on Fundamentals in Mineral Processing in honor of professor Janusz S. Laskowski. 6th UBC-McGill-UA Symposium on Fundamentals of Mineral Processing: Interfacial Phenomena in Fine Particle Technology, Montreal, Canada, (119). 1 - 4 October, 2006. Wang, Liguang and Yoon, Roe-Hoan (2006). Stability of foams in the presence of ionic and non-ionic surfactants. In: Proceedings of the XXIII International Mineral Processing Congress. International Mineral Processing Congress 2006, Istanbul, Turkey, (453-458). 3-8 September 2006. Wang, Liguang and Yoon, Roe-Hoan (2005). Hydrophobic interactions between the air bubbles in water. In: Courtney A. Young, Jon J. Kellar, Michael L. Free, Jaroslaw Drelich and R. P. King, Innovations in Natural Resource Processing: Proceedings of the Jan. D. Miller Symposium. Innovations in Natural Resource Processing, Salt Lake City, UT, United States, (125-138). 28 February-2 March 2005.